We strive to offer our clients a complete and comprehensive service. We would like to invite you to save our 24-hour towing and roadside assistance contact number (072) 612-5747. We have built our business on the principles of honesty, exquisite workmanship and outstanding customer services. 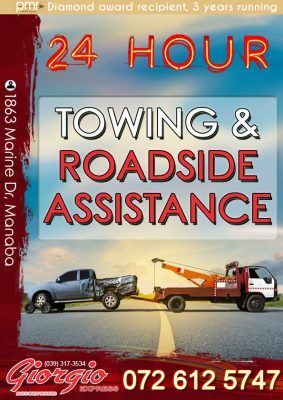 If you find yourself using our 24-hour towing or roadside assistance service you can look forward to experiencing this for yourself.